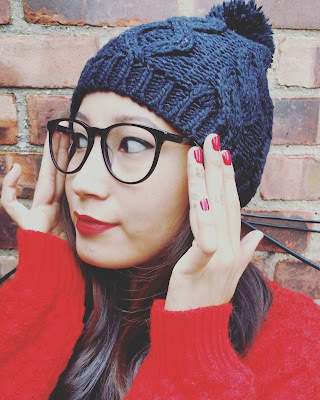 Welcoming December with a fabulous pair of FIRMOO Glasses. 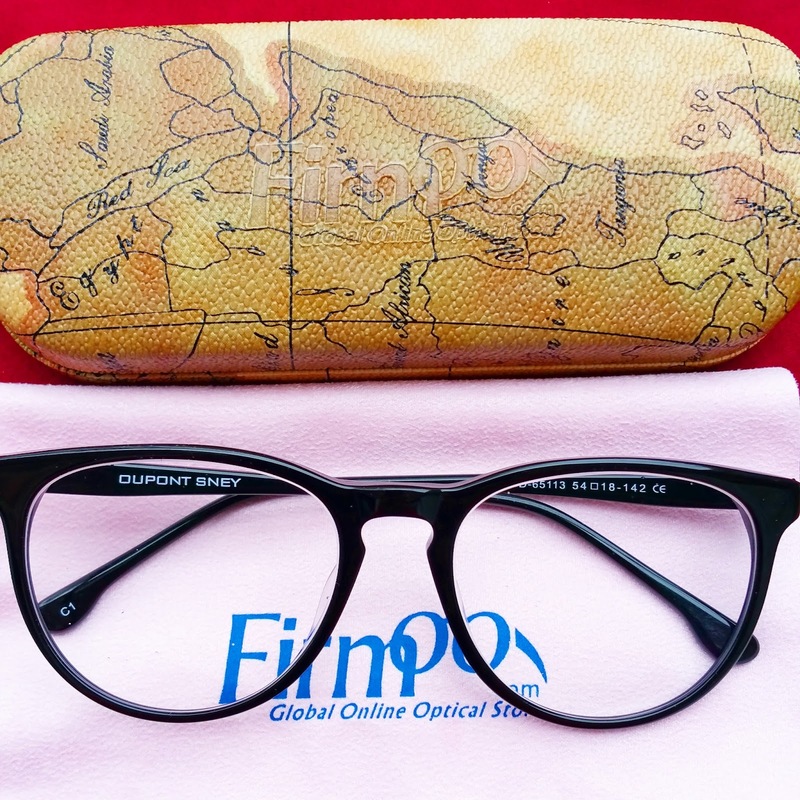 This is my second time collaboration with FIRMOO Glasses. If you guys want to view my previous Firmoo post click HERE. 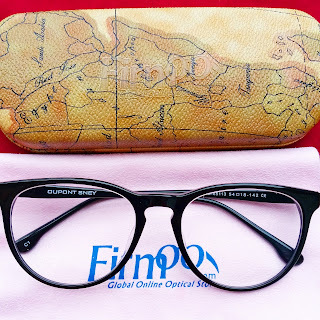 I had said it previously and will say it again that Firmoo glasses have excellent quality and yet they are very affordable. They have a huge selection of frames and they provide 15% off to new customers. Hurry up and click HERE to take advantage of this deal and score yourselves some rad Firmoo Glasses because "The Nerdy Look" is so in. Click HERE for their daily new arrivals. 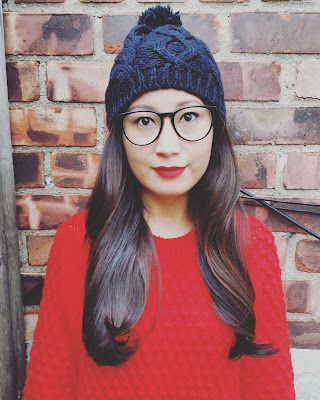 My FIRMOO Glasses are black and sits very comfortably on my nose and behind my ears - absolutely no headaches. 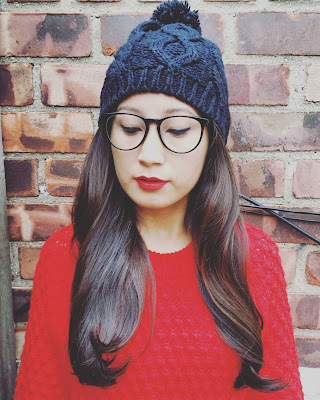 I wore them with a black knitted hat, chunky sweater and lipstick both in red because it's holiday season. Red makes me feel festive. These glasses make a great holiday gift for your loved ones who wear glasses. Don't miss out guys. Also, their eyeglass cases are hardshell and are made extremely well. A+ for the cases. You look so sweet! Lovely glasses! And lovely crochet outfit, as well! Kisses, sweetheart! Have a lovely month! These look amazing on you! 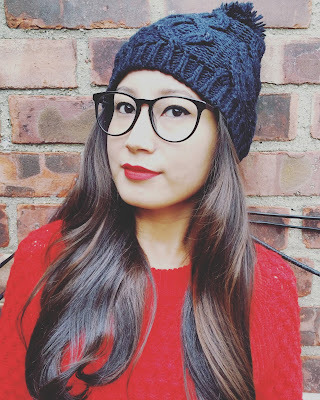 Nerdy yet stylish,love it! You look totally cute with thse nerdy glasses, Vikee. Thx bunches for your well wishes, girl. Oh, very beautiful photos! I like your glasses! Such cute frames, they look adorable on you! 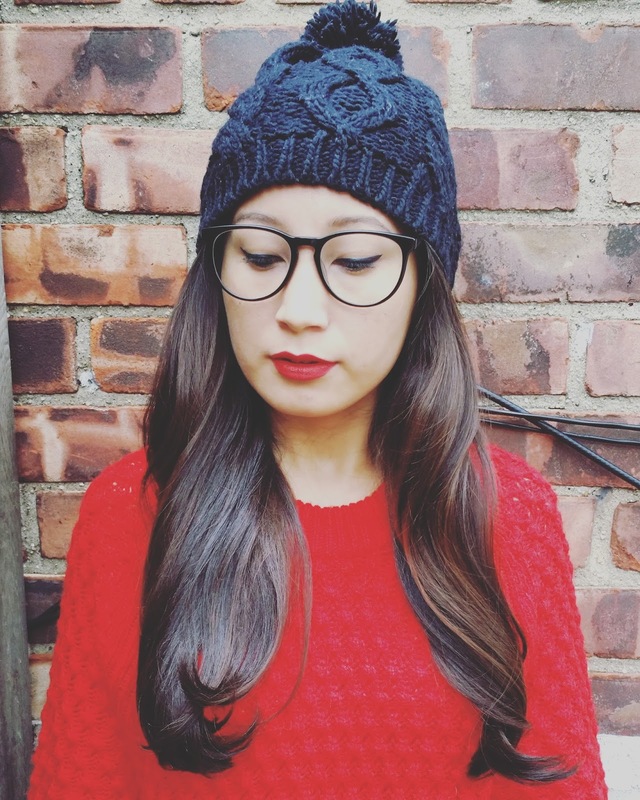 LOve the glasses but the beanie is more cute. these glasses fit so well! looks perfect! You look so cute in that nerdy look! I need me some new glasses too. The glasses are really lovely! Good entry , thanks for stopping by my blog!! !Happy Sunday !! You look nice and your beanie is also very pretty! can't wait to get mine too ! They look so cute. I really like the hat and sweater you do look festive. Cool glasses, you look fab! The glasses are very cool. Black and red are perfect. I love your version of 'nerd chic'! You always wear red lippie so beautifully! Gotta love Firmoo. They're the best and you look so pretty. 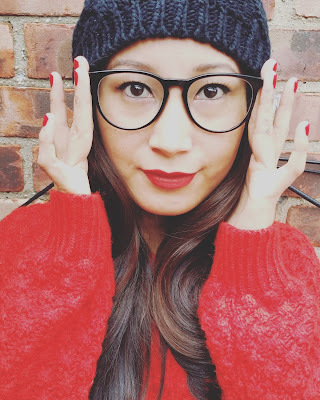 You are stunning in those glasses! Thats a cool and chic glasses and you look amazing with it!